The Other Side of the River by Kevin Reeves, Lighthouse Trails Publishing, $12.95 list price, paperback. 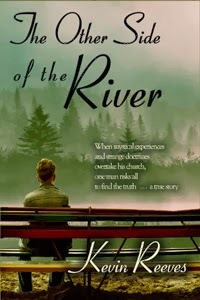 The Other Side of the River is Kevin Reeves’ biographical account of his time spent involved with a church that was part of a movement called the “River”, also known as the River Revival, the Third Wave, and the Latter Rain. This movement includes many Word of Faith and prosperity gospel preachers such as Kenneth Copeland, Benny Hinn, Jesse DuPlantis, Bill Johnson, Kenneth Hagin, and others. Reeves began to question the claims of outrageous and unbibilcal spiritual manifestations and soon discovered blatant discrepancies between what his church leaders were teaching and what scripture really said. The more of the elements of false teaching he uncovered, the more he found himself a target of threats and alienation from other church members but no matter what the cost, he was determined to save himself, his family, and as many other members of his congregation as he could. Some of the topics Reeves addresses as false teaching include the Word of Faith/Prosperity Gospel movement, seeking “signs and wonders”, valuing experience over scripture, holy laughter, being “slain” in the spirit, visions and prophecies, the misuse of spiritual gifts, questionable worship practices, encouraging mystical experiences, the emphasis of Jesus’ humanity over his deity, claims that we are gods ourselves, and seeking to establish the kingdom of God here and now on Earth, to name a few. What Reeves frequently observed was that if someone supposedly had an unusual experience or manifestation, the validity of his or her claim was rarely questioned. A few years ago I purchased a copy of Jesus Calling by Sarah Young because it came so highly recommended. After reading the introduction and several entries I knew something wasn’t right and I got rid of the book. Maybe it was the audacity of someone presuming to speak in the first person on behalf of Jesus, or maybe it was because this “Jesus” didn’t sound like the Jesus I knew from scripture. “Another Jesus” Calling by Warren B. Smith addresses these valid concerns and why Young’s “Jesus” is not the Jesus of the Bible. One issue with Young’s “Jesus” is that he uses New Age terminology and concepts that the real Christ doesn’t. For example, he invites the reader to become his “channel”. He describes himself as being above all and in all, a concept consistent with the New Age teaching of God Transcendent and God Immanent in every form of life. Protecting our children from spiritual deception can seem a daunting task but How to Protect Your Child from the New Age & Spiritual Deception offers hope with practical steps Christian parents can take to become proactive in recognizing the dangers their children face while also teaching them to discern biblical truth. Berit Kjos has done her homework and documents how children and teens are being targeted with New Age and occultic messages through every form of media and in school curriculum and programs. 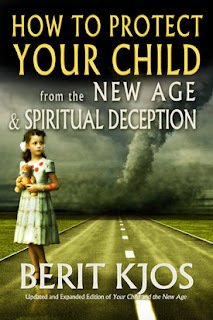 How to Protect Your Child from the New Age & Spiritual Deception by Berit Kjos, Lighthouse Trails Publishing, $14.95 list price, paperback. Corrie ten Boom was one of the most inspiring people of our time. Her faith in God was incredible. She was called of Him to endure unbelievable pain and trials. Through it all, she was a light of hope and warmth, as an ambassador of the Kingdom of God. Corrie is best known for her book, “The Hiding Place.” This is about the holocaust and the concentration camps. Her family hid Jewish people in their home, to protect them from the Nazis. Her family ended up in the camps. She was the only one from her family to survive the prison camps. She later became a “tramp for the Lord” (as one of her books is titled). She travelled and spoke about her faith and encouraged others. I have read, and owned, several of Corrie’s books over the years. However, old books tend to fall apart over time and need to be replaced. The content of some books are so valuable, you want to get a new edition and take care of it as long as possible. 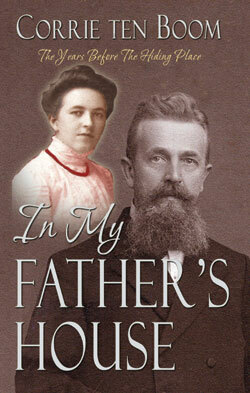 “In My Father’s House” by Corrie, is one of those books.
. . . This edition includes more than 50 photographs from Corrie’s childhood and home. “In My Father’s House” is about her growing up years. It shows the foundation of her training and experiences that made her the strong, godly woman she was, which enabled her to endure the War and the aftermath. Click here to continue reading. To order or for more information about Seducers Among Our Children, click here.